With the advancement of technology, people are moving towards online businesses or running websites for their portfolio, travel blogs, etc. Anyone who thinks of building a site, he/she finds the web hosting company first. Finding the appropriate web hosting company for the website is very important to grow the online business/website. In recent years, so many misconceptions are built regarding the web hosting companies although the facts are entirely different of those myths. You must read the best web hosting reviews that can show you the facts about companies. 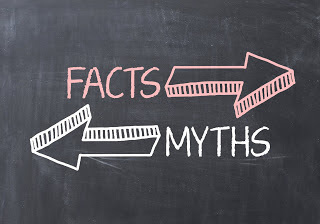 Some of the biggest myths about the web hosts are discussed below to aware you of it. One of the most common myths regarding web hosting companies is that they are almost the same. The users think that all the companies serve the customers with almost similar features at similar rates and they do not think of finding the best web hosting company for their website. However, all companies do not provide similar services at all. A small difference between the services can make a huge change for your website’s growth and maintenance. Likewise, uptime affects the website very badly. Some companies mention the uptime of 99% that is the best and some companies don’t mention the uptime. Even, 98% uptime looks great but it means the website is offline for more than 3 hours a week. Small changes in the features affect the website’s growth. There is another misconception that is about free or cheap web hosting services providers. People think that cheaper web hosts are the best options for them. It can save their money, but it will not help them to grow their website. There are always some factors that give the benefits to the web hosts and cause problems for you. However, you must not be dependent on free web hosting companies and it is better to check the ratings of web hosting companies before getting their services. Consequently, people keep in mind that all the web hosting companies provide the services with their own data centers. Anyhow, most of the companies are outsourcing it. It doesn’t mean that the companies that don’t have their own data centers don’t provide ratified services. But it is always advantageous for you to deal with the company that handles all the things in-house. Because they would be able to resolve any technical issue if it occurs. Another myth about web hosting is that you must host with your domain registrar. This is also a wrong concept among the people, and they do crazy things for their website keeping this misconception in their minds. This is totally wrong, and you can register your domain at any registrar and then, you can move your domain to any other web hosting company to get better hosting services for your website. However, the factor of laziness also remains there in this myth, and it leads the customers and their online business towards the devastation. The users can transfer the domain from one to another hosting site for getting the best deal for their website.